Even I felt bored. So, continuing from the last set of photos, I decided that fish and chips was what we needed, particularly as I lost out earlier in the week. If you want more information on fish and chips the link has plenty of it. You can tell it’s a big part of British life from the number of times I have pictures of fish and chips. They are a good subject – appetising, well lit and not prone to move suddenly or fly away. This entry was posted in Food and tagged chips, fish, fish and chips, mushy peas, photographs on January 6, 2019 by quercuscommunity. Looking through the old photographs, as I was yesterday, I am reminded of the complexity of regulations around photography. I have photographs of children and vulnerable people and I have permission to use them. So I’m clearly OK to post them on the blog aren’t I? Well, no. According to some regulation, which may be data protection rather than safeguarding, I should have asked for time-limited permission and I shouldn’t use them indefinitely. Schools, for instance, are only supposed to use photographs of children while they are attending the school. This would tend to suggest that I shouldn’t use the images now we have closed down. This suggests that even if you are lucky enough to get a decent shot of a child you can’t keep using it. Unless you’ve paid a child model – that will be OK. That’s one anomally. Another is that I can’t publish names, but newspapers can. Presumably predatory perverts only cruise amateur blogs – professional photos and newspapers hold no interest for them. There’s another anomally – if I want to take pictures of children on a visit I need permission, which some schools take more seriously than others. We once had a teacher shouting at one of our group members because they had taken a picture with their telephone, which might have included a school pupil. Yet that teacher thought it was OK for the school to take pictures of the visit without asking our permission and without checking with the vulnerable adults in the group. In fact no school ever asked permission to take pictures. I’m not saying they should do, but I am saying that there should be one rule for everyone, particularly for schools that insisted on coming on days when the group was in. Julia, being soft-hearted always resisted my requests that we should have a photo permission form for visits and only give permission to groups who gave us permission. 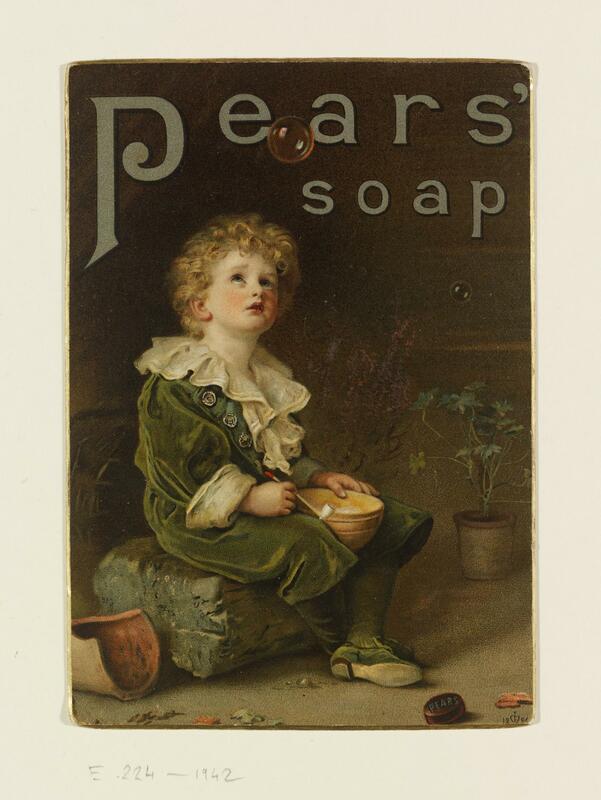 Imagine what that would mean for the famous Pears Soap advert. They used this one for years. Oh, how Admiral Sir William Milbourne James GCB must have mentally thanked his grandfather for this portrait of him in green velvet as he strode the decks of his various commands, where he was known by the nickname “Sir Bubbles”. Image downloaded from the website of the Victoria and Albert Museum, with permission. Despite a lack of medals and dead animals this kind gesture has elevated thm to the status of one of my favourite museums. This entry was posted in Care Farm, Education and tagged children, date protection, photographs, safeguarding, schools, vulnerable adults on December 19, 2018 by quercuscommunity. Here’s a trio of pictures of the aftermath of a car accident outside the shop. Nobody was hurt and the other vehicle, a Land Rover didn’t show any sign of damage, though I’m sure it would have done if I’d been closer. I’m obviously turning into a photojournalist. Or a magnet for disaster. I’m not quite so hardened that I get up close, but I’m getting there. This entry was posted in Nottingham and tagged car accident, photographs, photojournalism, Wollaton on June 13, 2018 by quercuscommunity. Suddenly realised, at 11.54, that I needed to post before midnight. What should I post? Well, here are some photos from Julia’s trip to Malta. Featured image shows her with offspring, in case you are wondering who the two strange men are. I particularly like the one of the cactus, though the one of Julia isn’t too bad. The Seawater Distillery building is quite interesting too. This entry was posted in Uncategorized and tagged cactus, holiday, Malta, offspring, photographs, Seawater Distillery on June 1, 2018 by quercuscommunity.